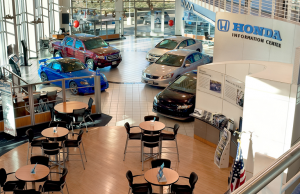 Perfection Honda is your auto loan and car lease resource center, providing you many financing options. Let us work with you to secure a car loan based on your budgeting and financial situation. Our friendly finance managers work with you to ensure you get the right finance program at the most competitive rates. We strive to work with each customer to ensure their satisfaction. We have financed customers from all around New Mexico. Whether you are right down the road or an hour away from Albuquerque, you can save time now by using our quick pre-approval form to qualify for one of our finance programs.